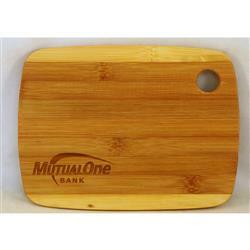 A great small cutting board made with environmentally friendly bamboo. 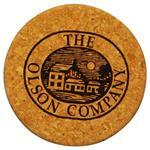 Nice 6 x 8 x .33" promo cutting board. Great give away! 100% Bamboo. Laser engraved in the USA. Price include set up and engraving! 6" H x 8" W x .33". A great small wood cutting board. Production Times Available: 5 to 7 business days. Dimensions: 6" x 8" x 0.33"
Typical Imprint Area(s): 3" x 3"